Ray Becker “The Ray Becker Show” Audio player provided! On this show, I have a guest with me: Stephanie from Harvest Right. We are going to cover Freeze Drying food for long term storage. 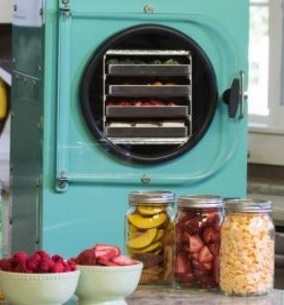 Along with freeze drying, I will address other methods of storing your food. 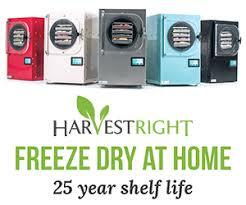 Long term storage could be accomplished by Freeze Drying, canning and dehydration. As a basic rule, you will want to have enough food to last for about 6 months. This will allow you enough time to plant, grow and harvest your own food from your crisis garden. It will be important for you to have a survival seed vault of non GMO seeds. If you can afford, there are plenty of suppliers of dehydrated food with a shelf life of about 25 years on average. Some of the supplies that you will need will be a Harvest Right freeze dryer, pressure cooker, mason jars, five gallon pails, heavy duty mylar bags, bay leaves, etc. In the last segment, we go over some news items along with some current economic trends and economic indicators. Visit Renaissance Man website HERE! Listen to this broadcast or download “Food Storage and Freeze drying” in player below! Archives, website, & more for Renaissance Man HERE! Next: Next post: Whats your media diet?